Why Can’t I Access SIMS? How Do I know If I Have Connection to the S Drive? How Can I Get Access to the S Drive Again? In most cases, simply double-clicking the S drive will activate it, and SIMS should load up fine. If you cannot see the S drive at all, try logging off and back in. Failing that, restarting your machine may solve the issue. 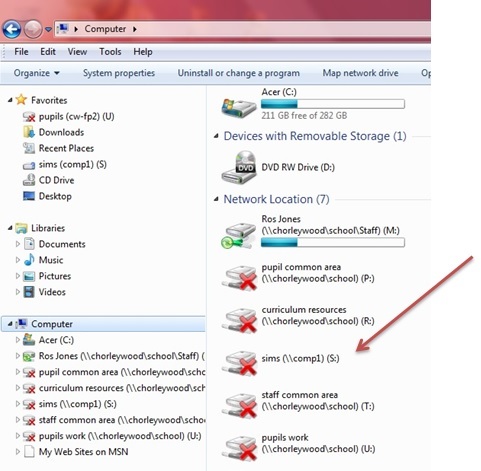 There is an issue with the school network. If you are still experiencing issues, get in touch with Con Ed using the helpdesk.